Fuuka moves back to Tokyo from Osaka when Sana and Hayama start junior high school. When she and Sana meet (in the school bathroom, of course), they realize they're very similar in both looks and personality. Fuuka is very honest and possesses a strong will and a good heart. Like Sana, she tends to get hyper when she's angry, worried, or excited, but Fuuka is definitely calmer and more serious than Sana. She is also a very good student and great at gymnastics, which means she's very driven and dedicated. While Fuuka has a good heart, she's a lot less innocent and soft-hearted than Sana, so sometimes she seems a bit colder. Fuuka isn't as prone to thinking with her heart alone, and she considers how her actions will affect her. But Fuuka is a very good person and she takes good care of her friends. Fuuka was the girl Hayama kissed on a bet when they were in kindergarten. That kiss caused Fuuka a lot of trouble with her crush, Takaishi-kun, so she was understandably very angry with Hayama for a long time. However, when she later meets Hayama again in junior high and gets to know him, she realizes she's very drawn to his personality. Later in the series Fuka confesses her feelings towards Akito. They start dating while Sana is out filming the movie. 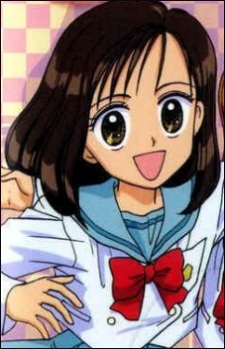 When Sana returns back home she realizes that Akito and Sana still have romantic interest's for each other. Fuka heard that when Sana put her face close to Akito she got kissed by him, so when Fuka fell down and Akito helped her up, even though their faces were close together Akito didn't kiss her, which proved that Akito isn't as perverted as he is with Sana but is simply kind to Fuka. She then broke up with him after the accident and told him to stop being nice to her because she's not the one he likes. During the 52 episode when she meets Hayama again, she describes Hayama as "cool" and "interesting," showing that she got an interest for Akito.